Peter Frampton, Bruce Hornsby, Russell Thompkins Jr., Steve Wariner and Trisha Yearwood will perform at the Musicians Hall of Fame Induction Concert on Oct. 26 at the Municipal Auditorium in Nashville. Frampton and Yearwood will perform on behalf of 2016 inductee Don Felder. Wariner will pay tribute to the late Jerry Reed. Hornsby will join 2016 inductee Ricky Skaggs. Thompkins, of The Stylistics, taking the stage with the Sigma Sound Studio Inductees. 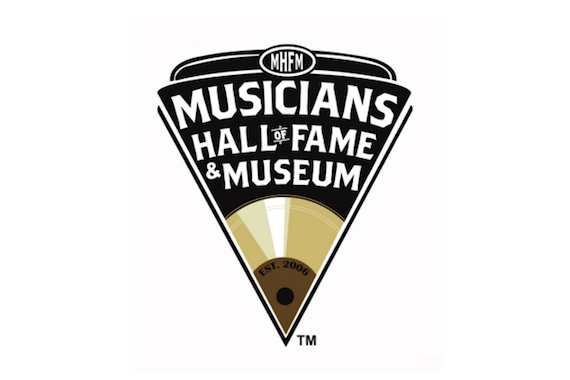 As previously announced, the 2016 Musicians Hall of Fame Induction Class includes Garth Brooks & The G-Men (Bruce Bouton, Mark Casstevens, Mike Chapman, Rob Hajacos, Chris Leuzinger, Milton Sledge, Bobby Wood), Don Felder (formerly of The Eagles) for Iconic Riff Award for “Hotel California,” Jerry Reed, Ricky Skaggs, the Sigma Sound Studio Rhythm Section (Ronnie Baker, Tommy Bell, Roland Chambers III, Charles Collins, Bobby Eli, Dennis Harris, Norman Harris, Vince Montana, T.J. Tindall, Larry Washington, Jimmie Willams, Earl Young), the Producer Award to Allen Reynolds, and Engineer Awards to Lou Bradley, Mark Miller, Ron Reynolds, and Joe Tarsia.